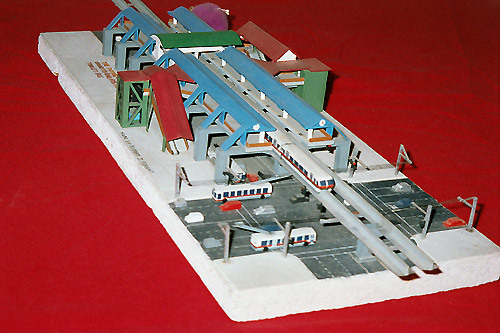 Robert Forant sent us these images of his monorail station model. Looks like a jump back in time to what an ALWEG station might have looked like, if built in the 1960s. Nice work Robert and thanks for sharing!